Welcome to show number Thirty for Saturday, August 31, 2013! Broadcasting around the world at TheMountainFM.com or in ((Stereo)) in Alpine at 107.9 FM, Jack's Tracks on Saturday on the air today at 2 p.m. Pacific! San Diego has heard the voice of the lovely Jo Eager on the airwaves. She stops by the studios in the 3 o'clock hour to talk about her "Chicken Soup For The Soul" moment and a life changing event -- live with Jack and Producer Chris. San Diego artist Chris Carpenter's interview is replayed at 4 p.m. The one hour and seven minute music-filled event rolls us a bit past five p.m.
Jack and I make room for the Bree Walker show that hits the airwaves at 6 p.m.! She comes down from LA once a month and it's an interesting hour of world events. Medley -- Robin Henkel with Billy Watson! 3 p.m. Jack's Guest Hour! 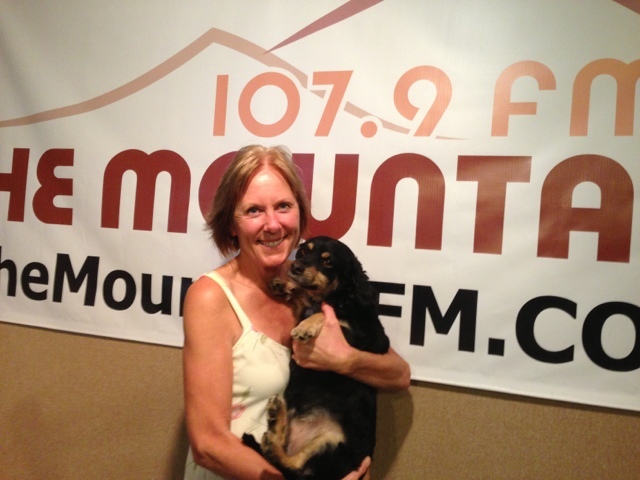 Jo Eager stopped by to visit with Jack and also talked about her life changing event at Mission Trails Park. She was bitten by a rattlesnake and nearly lost her life. She took her life events and has a story in the latest "Chicken Soup For The Soul". Jack selects the interview we did with Chris Carpenter earlier this month! It's one hour and seven minutes of the San Diego Music Award nominated album. See you next week at our regularly scheduled time at 2 p.m., Pacific, all across The Mountain Radio Networks! We now join our next program, already in progress. That's it for SHOW Thirty from The Best Station In The Universe, The Mountain FM! See you next week at our regular time of 2 p.m., Pacific, all across the MountainFM.com Radio Network, and at 107.9 FM in Alpine. Welcome to show number Thirty for Saturday, August 24, 2013! Broadcasting around the world at TheMountainFM.com or in ((Stereo)) in Alpine at 107.9 FM, Jack's Tracks on Saturday on the air today at 2 p.m. Pacific! 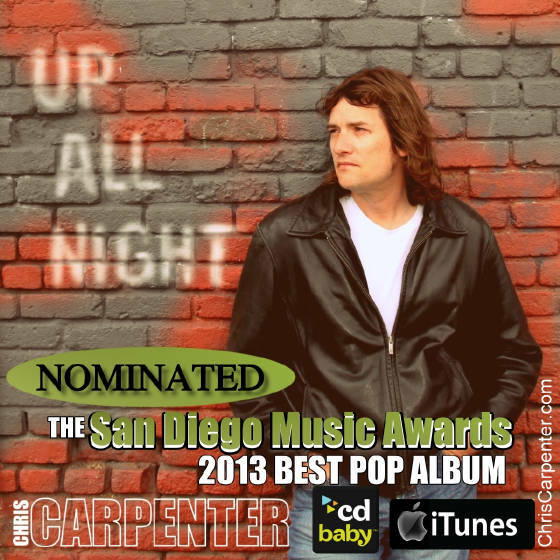 San Diego artist Chris Carpenter joins Jack and me via phone in the 3 p.m., hour! Plus at 4 p.m., we'll get the complete happenings about the upcoming Adams Street Fair. Man On The Moon -- R.E.M. Chris joined Jack and me on the phone talking his upcoming schedule and also his nominiation for the San Diego Music Awards!! He selected "Running" from his album for Jack to play. Keep Your Hands Out Of My Pocket -- Billy Watson And His International Sliver String Submarine Band! 5 p.m. Playin' The Pawfect Hits! Welcome to show number Twenty-ninefor Saturday, August 17, 2013! Broadcasting around the world at TheMountainFM.com or in ((Stereo)) in Alpine at 107.9 FM, Jack's Tracks on Saturday on the air today at 2 p.m. Pacific! Americana sweetheart Nena Anderson joins Jack and me via phone in the 3 p.m., hour! Nena Anderson via phone! Talking about her single, Avery Smile, and her Americana nominiation!! 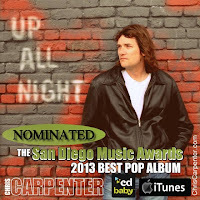 Visit http://nenaanderson.com and the http://www.sandiegomusicawards.com/ for more info! Shiny Happy People -- R.E.M. That's it for SHOW TWENTY-NINE from The Best Station In The Universe, The Mountain FM! See you next week at our regular time of 2 p.m., Pacific, all across the MountainFM.com Radio Network, and at 107.9 FM in Alpine. Show 27, Jack's Tracks on August 3, 2013 in ((Stereo))! Welcome to show number Twenty-Seven for Saturday, August 3, 2013! Broadcasting around the world at TheMountainFM.com or in ((Stereo)) in Alpine at 107.9 FM, Jack's Tracks on Saturday on the air today at 2 p.m. Pacific! Whitney Shay stops by on the phone talking music and her nomination for the San Diego Music Awards. 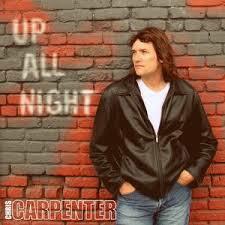 Chris Carpenter drops by and performs LIVE at 5:30 p.m.!! Whitney Shay on phone talking about music and her nomination for the San Diego Music Award! 3 p.m. Two Paws Up Hour! 4 p.m. All San Diego Music Hour! That's it for SHOW TWENTY-SEVEN from The Best Station In The Universe, The Mountain FM! See you next week at our regular time of 2 p.m., Pacific, all across the MountainFM.com Radio Network, and at 107.9 FM in Alpine.